Plastic pollution has reached alarming levels. There are over 5.25 trillion pieces of plastic in the ocean and by 2050 it is predicted that there could be more plastic in our oceans than fish. Let that sink in for a moment. More plastic than fish. Since the reality of plastic pollution in our oceans was catapulted into the global limelight by David Attenborough’s popular TV series Blue Planet, urgent action on plastic has become a priority. Many brands are now investing time, resource and money into finding more sustainable solutions to single-use plastic. The race is on. One brand taking a stand against plastic pollution is Hyundai. Showcasing its strong environmental values, the automotive manufacturer implemented a clever awareness campaign in Sanxenxo, one of Spain’s most popular tourist destinations. 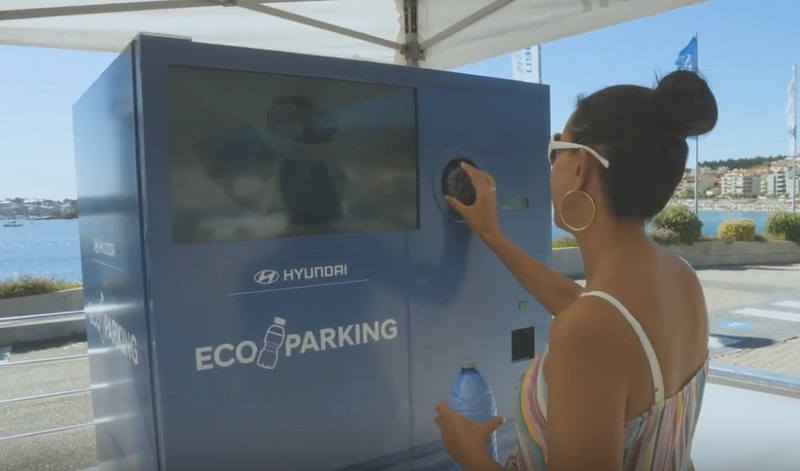 During August, in the midst of peak holiday season for the region, Hyundai implemented an Eco Parking scheme at the idyllic Silgar Beach where drivers could pay for their parking with plastic waste collected from the beach or brought from home. Using a fully-branded parking meter, drivers needed to provide a minimum of two plastic containers to exchange for at least one hour of parking. The innovative campaign was designed to encourage people to think more about recycling and to help tidy the beach. And in just a few days, Hyundai was able to recycle the equivalent amount of plastic produced by 25 people in a year. An incredible result. 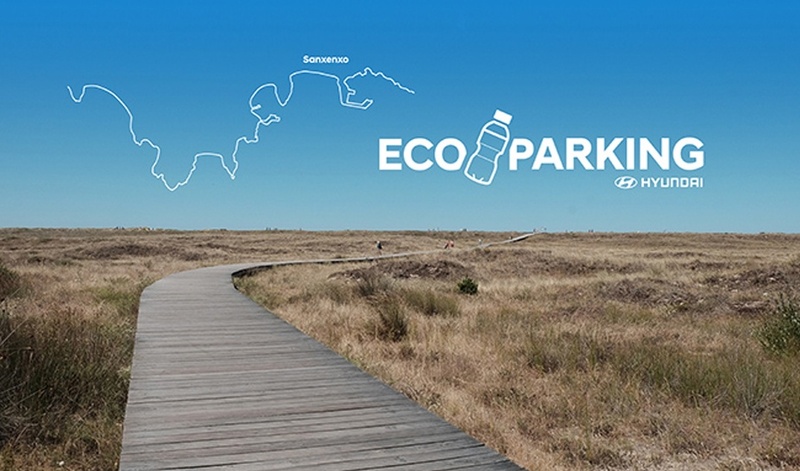 The success of the campaign reached new heights when the Congress of Deputies in Spain approved a motion for systems like Hyundai’s Eco-Parking to be implemented throughout the country. Through its Eco Parking drive, Hyundai successfully tapped in to a topical issue to win over its audience with a captivating campaign that helped build brand love through forward-thinking and conscientious positioning. As part of its ‘Cleaner Cars, Cleaner Beaches’ approach, Hyundai effectively highlighted its environmentally-friendly stance while simultaneously boosting the launch of its new electric car, the KONA. Simple yet powerful, the eco-conscious campaign certainly got people talking and was widely reported on in the media and shared across social media. The automotive sector has produced some truly engaging and thought-provoking brand campaigns: Volkswagen created a striking bowling experience to spread a vital message, while Hyundai got kids talking with its Chatty School Bus experience.